If your employees work in hazardous environments, you’ll be well aware of the need for electrical safety. Two way radios can be dangerous in areas where there are combustible gases and other risks. Atex equipment is specifically designed for locations where explosive dust and gas occur, and are frequently chosen by customers working on oil rigs for example. Brentwood is pleased to offer a range of compliant digital Atex two way radios. Atex radios are designed specifically to ensure employee safety. They comply with the Atmospheres Explosibles Directives 94/9/EC, which is where they also get their name. Low temperature: Certain radios have a guaranteed surface temperature of less than 135 degrees Celsius; these are in the T4 Atex class. Some radios guarantee even lower temperatures. Brentwood sells a selection digital Atex two way radios. If you’re looking for a solution for hazardous environments, we believe these four radios offer a good balance of price and features. The Motorola DP4401 Ex is a durable Motorola two way radio with Atex gas protection, IP67 liquid and dust protection and integrated GPS. It also offers Lone Worker mode without the need to purchase additional modules. The Motorola DP4801 Ex has an easy-to-read display, Man Down and Lone Worker modes as standard, and is designed for mining and other industries where combustible gases are common. The Hytera PD715 Ex is designed to offer protection against electrostatic charge, and has a slimline shape that is easy to carry. Another model, the Hytera PD795 Ex, also has an integrated screen and analogue mode. If you would like to know more about one of these models or would like some further information on how Atex equipment can fit your requirements, contact our team on 01245 403520 for advice. 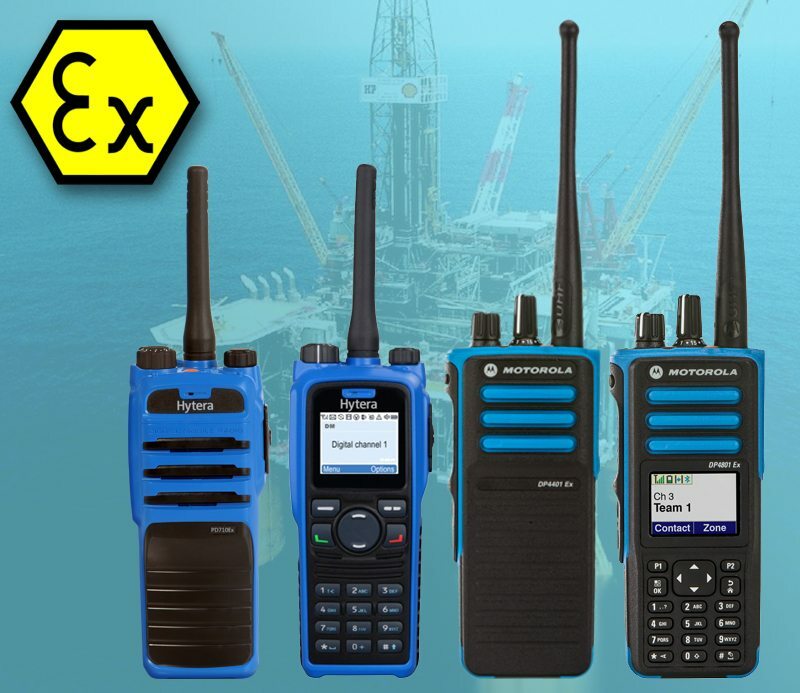 We can obtain a range of Atex radios and would be happy to advise you on the best model for your circumstances.